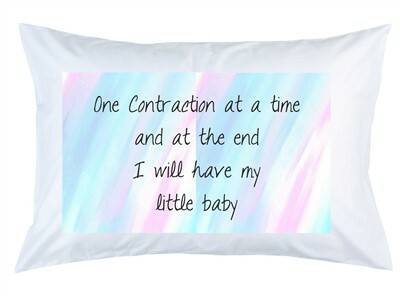 Our Birthing Pillowcase is printed with positive words of encouragement during the most amazing time in a woman's life. If you wish you can change the standard text to words of your choosing. Enter your requirements in the comments box. The perfect Baby Shower Gift!! !